The importance of bio-fertilizers has increased because of the negative consequences of using chemical fertilizers. This study that was conducted in the Zanjan County was aimed at examining the factors that affect farmers' perceived compatibility of bio- fertilizers. 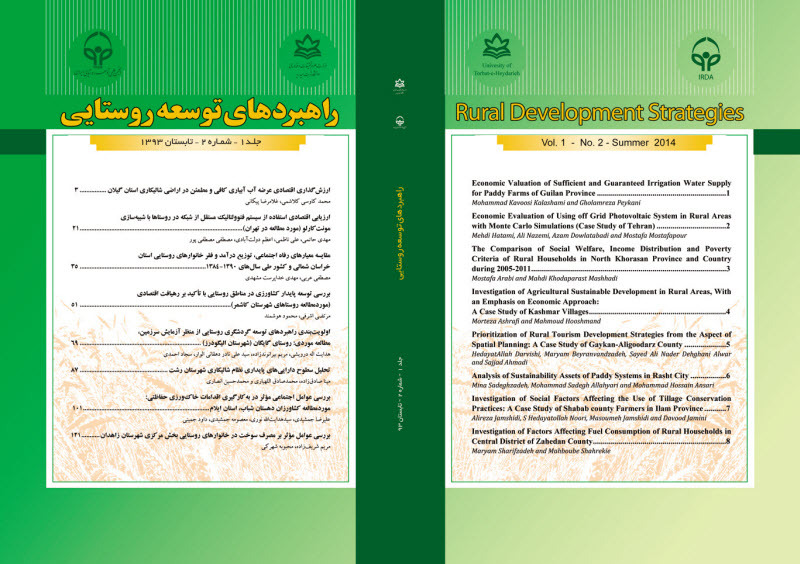 In this regard, among 313 active farmers in the Zanjan county, 135 farmers were contacted and surveyed through a convenient sampling to examine two categories of effective factors, i.e. personal (knowledge about and attitude toward bio-fertilizers) and environmental (economic accessibility, physical accessibility to bio-fertilizers and policy and support structures) factors. Binary logistic regression and discriminant analysis were applied to examine the consistency of the results. The results of two techniques showed that improving policy and support increased farmers' perceived computability and providing economic facilities decreased it. Furthermore, the results revealed that farmers' knowledge and attitude did not have a significant effect on the perceived compatibility.